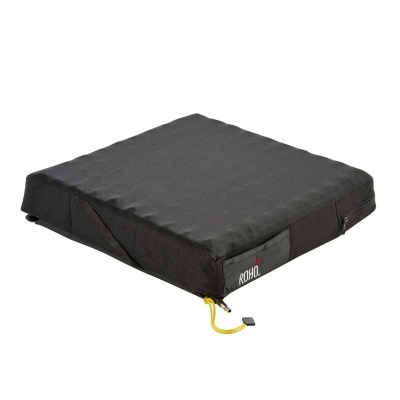 While offering outstanding pressure relief, pressure relief cushions are known for becoming worn and torn over time. A cover can help to maintain the quality of a pressure relief cushion but it too can become damaged, which is why the Spare Cover for the Roho Single Valve High Profile Pressure Relief Cushion acts as a replacement cover for the Roho Single Valve High Profile Pressure Relief Cushion. Pressure relief cushions are expensive, which is why a cover can help to maintain the integrity and strength of the cushion while preventing the cushion from becoming worn. To ensure that you have a back-up cushion, a replacement cushion can serve as a go-to, just in case you are left without a cover. The cover is not just for longevity, and also serves the purpose of providing comfort to the user. The two way design is extremely comfortable to sit on while the cover itself ensures that the cushion remains hygienic during and after use. Please note that while the picture shows the High Profile Pressure Relief Cushion, this purchase is for the Spare Cover only.